KSQY-FM dba 95.1 KSKY (the “Station”) may change the dates and/or terms of the contest without prior notice. Any material changes will be broadcast on the Station and/or posted on its website. The Station will conduct all contests, including on-air contests, email, text and online contests held on www.951ksky.com, and contests conducted through the Station’s social networking accounts (e.g.,Facebook, Twitter), substantially as described in these rules, unless otherwise stated in specific contest rules for that contest. The contest is open to legal United States Residents, 18 years of age and older, currently residing within 200 miles of Rapid City, South Dakota. Unless otherwise specified, employees, agents and affiliates of the Station, Haugo Broadcasting, contest sponsors, other radio, television, and print advertising companies serving the Station’s metro area, and their immediate family members* and household members are not eligible to participate or win Station contests. *The term “immediate family members” includes but is not limited to spouses, parents, in-law’s, siblings, grandparents, children, grandchildren and significant others. All entrants and winners agree to give the Station the right to use, broadcast, or publish their name, city of residence, photo, video, film or any other likeness, and voice, recorded or live, for any reason the Station deems necessary without compensation. All entrants and winners further acknowledge that the Station owns or will own exclusively any photographs of them used for such purposes, including the copyrights in them, regardless of the form in which they have been or may be produced and used, and all entrants and winners assign all such ownership rights to the Station. Prizes must be claimed within 30 days of winning unless otherwise noted. All prizes must be picked up at the Station business offices (3601 Canyon Lake Drive Suite 1, Rapid City, South Dakota 57702) during normal business hours Monday through Friday 8 am to 5 pm. Each winner will be required to produce identification satisfactory to the Station. After winning a prize valued over $600, winner must wait one full year before they are eligible to win another prize over $600. All those who win a prize or prizes valued $600 or more in a given calendar year will be issued an IRS Form 1099 to report their winnings. Potential contest winners will be selected by and at the Station in its sole discretion. If it is determined by the Station that a candidate is not eligible to receive a prize, another candidate may be selected for eligibility consideration and this process will continue on until such time as an eligible candidate is found. In the unlikely event that no candidates are found to meet the specifications, then the prize will go un-awarded. In the event of a tie, the winner will be determined by and at the sole discretion of the Station. All station decisions are final. In the case of written entry contests; if entry form is illegible, a new form will be drawn. Entry form must be filled out by actual person entering to win contest. No substitutions. If entry was filled out by a third person, a new entry will be drawn. The Station reserves the right to require contestants to be present at drawings in order to win. The Station is not responsible for errors, problems or delays in the mail or telephone systems that may prevent callers or entries from reaching the Station. Listeners can call the Station radio contest line. If a caller gets disconnected for any reason before their name and phone number have been recorded, another call will be taken. Decisions of the Station judges are final. The Station will not be responsible for mail that has been lost, damaged or delayed. 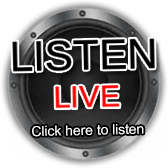 Due to the time delay that exists between the Station’s analog over-the-air signal and the Station’s online webcast, listeners who listen to the Station online may hear contest information or a cue to call later than those listening to the Station’s analog over-the-air signal. As a result, the odds of an online listener winning this contest may be diminished. Contest participants using the Internet must provide a valid email address. Limit one entry per email address. The Station and sponsors not responsible for technical, hardware, software or telephone or other transmission failures of any kind; lost or unavailable network connections; or incomplete, garbled or delayed computer transmissions whether caused by the Station, users, by any equipment or programming utilized in promotions, games or contests, or by human error which may occur in the processing of submissions, which may limit a participant’s ability to participate. This station occasionally conducts contests where the method of entering the contest is through the use of texting. If a contest accepts text message entries, this station does not charge a fee for text entries. Entrant’s normal text plan charges may apply. Station assumes no responsibility for charges incurred for text-messaging, including (without limitation) charges resulting from any bounce back messages or contest notices from the Station. If there is any dispute about the identity of an entrant, the registered user of the text message account on the date of entry will be the recognized entrant. This station assumes no responsibility for, and does not guarantee in any way, the availability or performance of any mobile, text or data service, including liability for transmission delays or message failures. This station does not guarantee, and shall not be responsible for, the delivery or timeliness of any text message entry. The Common Short Code (CSC) being used to enter a contest may or may not be supported by or compatible with all wireless carriers, and may prevent entry through the CSC method of entry. The time that a message is logged as arriving in this station’s system is the time of entry, regardless of the time at which the entrant attempted to send the entry. For help text HELP and to stop, text STOP to the specified program short code and follow the instructions provided at the entry process. Standard text and data rates will apply. This station is not responsible for service outages, message failures, transmission delays or any other factor affecting the availability or performance of the text messaging service. This station reminds listeners that texting while driving is illegal. The Station reserves the right, in its sole discretion, to cancel or suspend a promotion, game or contest should a virus, bug, computer or other problem beyond the control of the Station corrupt the administration, security or proper execution of any Internet promotion, game or contest, or the Internet portion of any promotion, game or contest. The Station, in its sole discretion, may award prizes to entries received by alternate means. The Station reserves the right to substitute prizes of equal or greater value; winners do not have any right to substitution of prizes. Where a prize consists of tickets for a sporting event, concert, movie, play or similar event, the Station will not be responsible for cancellation. In that event, the winner must deal exclusively with the promoter of the event. In its discretion, the Station may require winners to sign a release form in order to receive the prize. In such a case, the winner will not be entitled to receive the prize without signing the release. The Station is not responsible for any incorrect or inaccurate information submitted by contest participants or entered by websites users, and assumes no responsibility for any error, omission, interruption, deletion, defect, delay in operation or transmission, communications line failure, theft or destruction or unauthorized access to the Station’s website. Participants who violate any rule, gain unfair advantage in participating in the contest, or obtain winner status using fraudulent means will be disqualified. Unsportsmanlike, disruptive, annoying, harassing or threatening behavior is prohibited. The Station will interpret these rules and resolve any disputes, conflicting claims or ambiguities concerning the rules or the contest and all Station decisions concerning such disputes shall be final. Any violation of these rules will result in disqualification. Any attempt by a contestant or any other individual to deliberately circumvent, disrupt or damage ordinary and normal operation of a Station contest, telephone systems or websites, or undermine the legitimate operation of a Station contest is a violation of criminal and civil laws and should such an attempt be made, Station reserves the right to seek damages from any such participant to the fullest extent permitted by law. Copies of these rules are available at the Station’s website, in person at the Station’s studios (3601 Canyon Lake Drive, Suite 1, Rapid City, South Dakota 57702 between the hours of 8am and 5pm Monday thru Friday) or by sending a request, along with a self-addressed stamped envelope, to the Station at this address. The interpretation of these and all other rules relating to contests or promotions sponsored by the Station is reserved exclusively to the Station and Haugo Broadcasting. Its decisions shall be final.